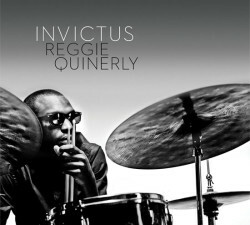 Drummer Reggie Quinerly’s new album is Invictus (Redefinition Music, 2015). In this interview, he talks about how a poem from the 19th century informs his career and writing; why he wanted to make an album that doesn’t sound like a “drummer’s record;” his relationship with one of his mentors, Lester Grant; and the need for musicians to control their own destinies. Learn more at reggiequinerly.com.